Robby Smekens, Belgium, needed a supplier that had the ability to customize the CAM software and atomize CNC production to their specific methods of production. They have been using Staircon CAM since 2010 and are very pleased with the improvements it has resulted in. – For years, it has been my aim to maximize automation of the production of stairs. Some things carried out on the CNC machine are not even possible to do by hand! 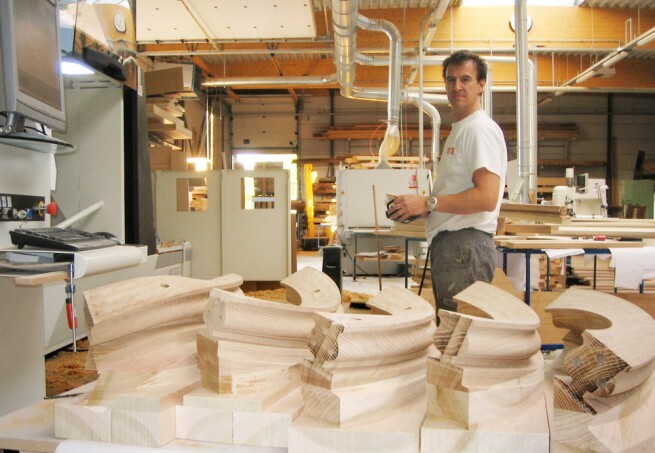 With two 5-axis milling machines controlled by Staircon I have the right tool, says Mr. Smekens. Smekens Trappen en Deuren manufacturs high quality stairs and doors with the latest technology. Their stairs are often customized to meet every customer’s specific requests, matching the style of their home and giving it an extra personal touch.